We are sold out of advance tickets for this show. There may be some limited standing room only tickets available once the show starts at 8:00 pm for $36.50. 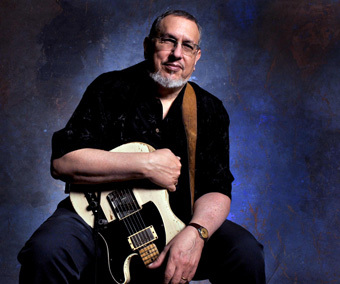 David Bromberg has his mojo working, and he’s coming back to Berkeley for two nights at the Freight. He’s played with half the Beatles, a good portion of the Grateful Dead, Dylan, Carly Simon, John Prine, Kris Kristofferson and Rita Coolidge, and Phoebe Snow. His original songs are clever, funny, and often profound. The depth of his knowledge of traditional folk and blues is staggering. His current quartet includes Mark Cosgrove on guitar, mandolin, and vocals, Butch Amiot on bass and vocals, Nate Grower on fiddle, mandolin, and vocals, and David on guitar, fiddle, mandolin, and vocals. For years David earned a living as a New York studio musician, playing in sessions with a Who’s Who of folk and rock and roll greats. His own albums like Demon in Disguise and How Late’ll Ya Play ’Til grabbed him a major audience, and his live performances won him fans for life. He pulled back from performing in 1980 to make violins, but since then occasionally ventured onstage and into the studio, delighting audiences and releasing several more albums. His latest, Use Me, features guest appearances from John Hiatt, Tim O’Brien, Vince Gill, Los Lobos, Widespread Panic, Dr. John, Keb’ Mo’, Linda Ronstadt, and the late Levon Helm. If you’re anywhere near Berkeley, check out one or both of his shows. They’re likely to sell out, so get your tickets early.